With Christmas just around the corner, I thought it would be the perfect time to share some resources that will help prepare our hearts this season. Advent is defined as the arrival of a notable person; for us, the coming of Jesus Christ. And to imagine the hopeful people before Christ – who trusted in Him coming and who waited with expectant hearts – that’s what we get to partake in and rejoice in every Christmas season. That’s why it’s truly the most wonderful time of the year. 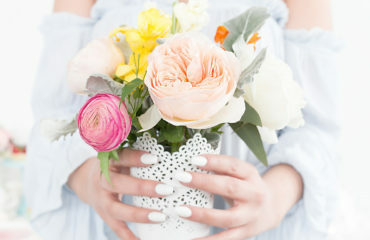 And yet I know what was meant to be a gift can easily become stressful and chaotic – the shopping list gets longer, the party invitations keep flying in, and Pinterest has us fretting over holiday cooking and decorating. Our hearts can become weary and distracted rather than focused on Jesus who matters most. So, what would it look like for us to have a life-giving, joyful, and worshipful advent season instead? Let’s use this December – where songs of hope and twinkling lights tell the world of Christ – to celebrate and adore our God who loved us enough to give us Himself. 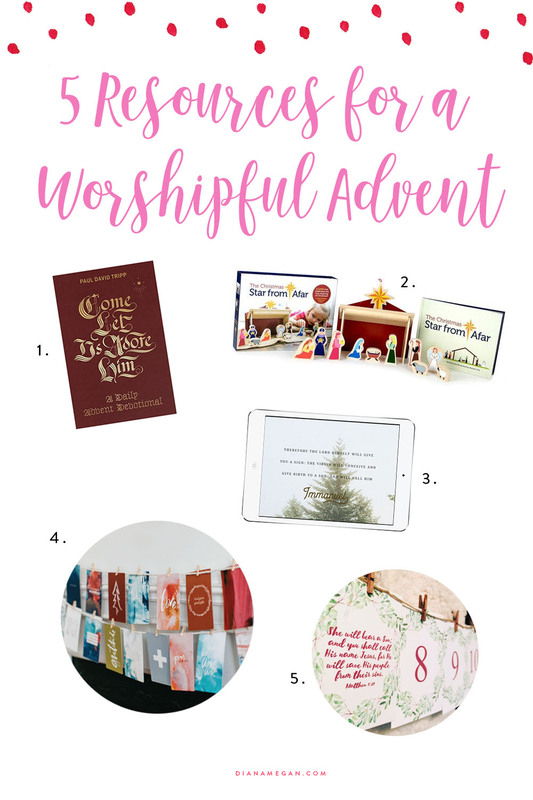 Here are 5 advent resources to help you and your families get intentional about having a worshipful Christmas season! Let’s take time to make room in our hearts for Jesus. Whether it’s a daily rhythm or a simple activity you can share with your loved ones, I hope that you experience all the true joy God offers you this Christmas and every day! If you’re looking for a daily devotional, this is an amazing one to dive into this December. Paul David Tripp has put together 31 Gospel-centered devotions to help focus our hearts on Jesus this Christmas. And what’s more is that every day has a family conversation starter so that you can bring your kids into your time in the Word. Moms and dads, here’s my top recommendation for you! The Christmas Star From Afar is a fantastic advent activity for your kids. This is a game that celebrates the true reason for Christmas – encouraging your children to hunt for the star like the Wise Men. With the toys, they can play a mini hide-and-seek and help the Wise Men find the star until Christmas Day where they finally find newborn Jesus in the manger. Imagine what joy you can share with them as this game is a fun way to celebrate the coming of Christ! Looking for something you can start today for free? Head over to the YouVersion Bible App where there are so many free Bible study plans for you to dive into. Search Christmas or advent to find a plan that will help you grow in your relationship with God and your worship of Him this season. There are also plans for families – I know my son loves to watch the videos along with the devotions! This advent collection is the one I look forward to every year! All Good Things creates beautiful prints, calendars, and devotions for advent – consistently and beautifully pointing us to worshiping Jesus. I especially love how their devotionals give structure to reading the Bible in December yet also give room for our hearts to journal and explore what we’re learning in our time with God. Check out their prints + eBook devotional here! Bring beauty to your advent with this gorgeous, hand-lettered advent calendar. I decorated my mantle with it last year and loved getting to meditate on a scripture daily until Christmas day. Super pretty and family-friendly too! Download the printable here for free!